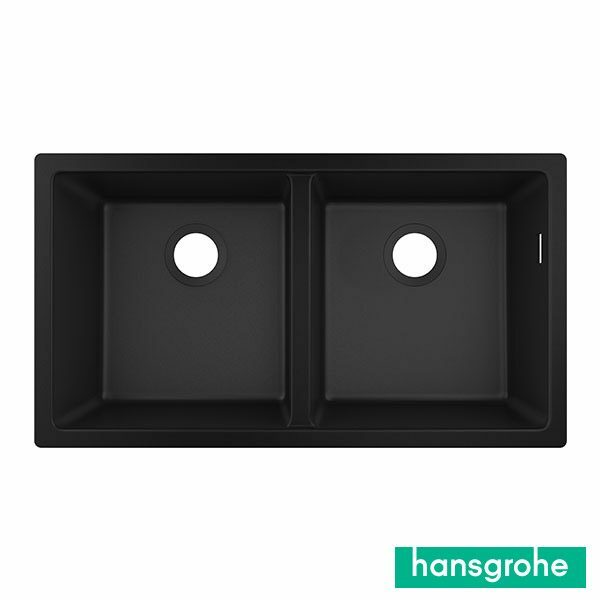 hansgrohe granite sinks are made of SilicaTec, which is manufactured from materials sourced in Germany. Only edge-rounded quartz particles are used, as these provide a smooth, non-porous yet tough and durable surface. Ca. 20% acryl of high-quality as binding agent and colour pigments.